Trainers have well and truly become the mainstay of every fashion lover's capsule wardrobe. After making their first tentative steps into the hallowed halls of high fashion in 2015, styles like Stan Smiths soon became the must-have item for magazine editors and teenagers alike. From that point on, casual has remained cool and the line between high and low fashion has slowly merged (we're looking at you, Vetements). In the intervening years, more and more brands have followed suit, entering the global arena to compete for It sneaker status—think old-school labels like Converse to newer brands like Veja. Trainers are big business. Here at Who What Wear, we want to make sure you're kept on top of the latest trends, so we've scoured Instagram to found out which summer sneakers are trending in the world's most stylish cities. From London to Milan and Paris to NYC, there's a look for every taste. Scroll down to get the intel and shop the best styles. London girls still feel the old-school appeal of Converse. Ideal for those who are uncertain about the dad trainer trend, these trainers will look great with everything from jeans and a Breton top to a floaty summer dress. They can also be bought in a rainbow of colours, if you're craving trainers with a bit more personality. 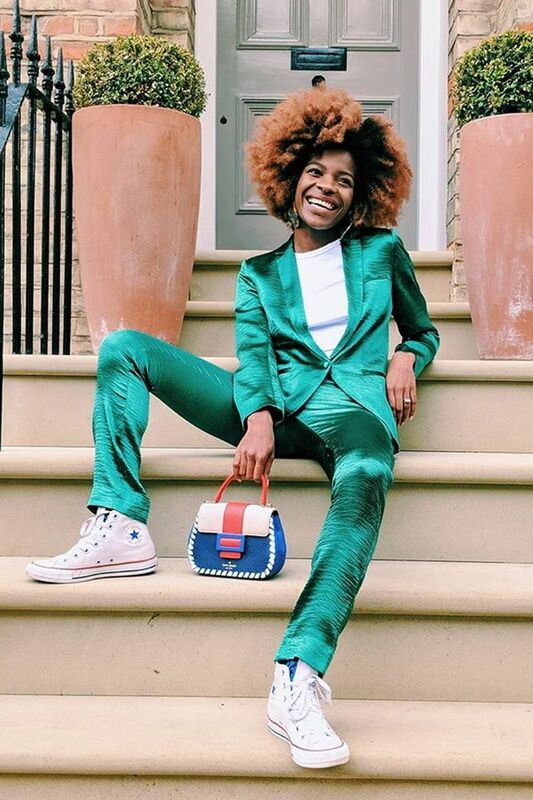 Our constant crush Freddie Harrel shows the versatile powers of Converse by wearing a pair of white high-tops with a Ba&sh green satin suit. Who'd have thought that formula would look so effortless? A newer brand in our lineup of sneakers, Veja shot to mainstream fame after being worn by Hollywood royalty Emma Watson. Known for its sustainable approach to production, this Paris-based brand offers up relatively pared-back, classic styles Gallic girls love. We're inspired by the way that Parisian Marie-Laure uses hers to add urban edge to a red-and-white striped sundress. Another throwback brand is trending on the streets of NYC. You might remember Fila from the days of '90s crop tops worn with low-slung flares, but this year has seen their return (undoubtedly capitalising on the "ugly" trainer movement). Yes, they might not be to everyone's taste, but they're a good option for those wanting to make more of a statement. Maria Alia gives us a lesson in incorporating these chunky styles into our wardrobe, wearing an all-white pair with a floral wrap dress. Previously known for its skateboard culture and grunge-style connotations, Vans is the U.S. shoe brand founded in the '60s that has since moved into the mainstream fashion market. Its iconic black canvas Old Skool trainers have seen a surge in popularity this year, as demonstrated by Milan-based influencer Marina, who wears hers with high-waisted trousers and a retro knitted top. We also love the brand's all-white styles for a more understated look. Up next: 26 summer dresses guaranteed to make you feel good.